There are two conflicting perspectives that exist concerning England’s 1982 World Cup campaign. The first is that it’s a tournament England could quite feasibly have won, the side starting superbly against France and cruelly being eliminated after not losing any games, conceding only one goal in five matches and having the misfortune to land a tougher second round draw by winning their first round group than if they had finished runners-up. But the second viewpoint is that England weren’t really that great as they struggled to qualify, only really excelled in one game during the tournament and displayed far more caution than they should have in the second group phase as they limped out when a great opportunity lay in front of them. That lack of consensus is evident in Gary Jordan’s impressive new book Out of the Shadows, which provides a detailed look back at how Ron Greenwood’s men performed in Spain. After England won away to Wales in April 1982, the Welsh manager Mike England was damning about his namesakes and suggested they would be lucky to get out of the initial group stage; after England had exited in the second round group phase – effectively the quarter-finals – midfielder Ray Wilkins would state the side were “second-best of the 24” with only Brazil being better. “We all thought we were very unlucky,” writes Paul Mariner in the book’s foreword. If the opinions are balanced out, the reality of how good England were lay probably somewhere in between – about the position they ranked during the tournament. Keegan’s battle to be fit figures prominently, the captain and star name facing a race against time to shake off his back injury and finally appear at a World Cup finals. Imagine during next year’s World Cup if an injured Harry Kane drove 250 miles through the night in the hotel receptionist’s tiny car to then catch a flight so he could go and see a specialist in the land of England’s group rivals. The book details Keegan doing just that, increasingly disillusioned with the treatment given by England’s medics and knowing a specialist in Hamburg – where he had played for three years – could improve matters. He persuaded Greenwood to let him go ahead with his plan and put himself back in the World Cup reckoning, It’s a story which reminds us just how desperate Keegan was to play in that World Cup, not least because he was never realistically going to get another chance. He’d had a long wait to appear in one in the first place. As the book’s title reminds us, this was England’s first World Cup finals for 12 years. It would be the equivalent of England now preparing for their first World Cup since 2006 after being absent in 2010 and 2014 (some might say that would have been preferable given how they performed in those two tournaments!). The proceeding years of struggle are recalled, especially the period after Greenwood took over as manager in 1977. 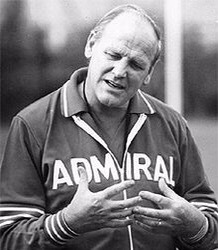 Ron Greenwood was England’s manager during the 1982 World Cup. It’s a fair summary. England had at least got back to their familiar exit level of just missing out on a semi-final place, which was less than the ultimate target but far better than the previous decade had yielded. Yet a nagging feeling persists it could have been more and Keegan’s miss would symbolise the opportunity that was there in front of them. There’s no guarantee that England would have got the required second goal had he scored, but it remains a ‘what if?’ moment. So too does whether England would have thrived more if he and Brooking had been fit for the whole tournament, rather than less than half an hour of it. Mariner certainly suggests things would have been different, echoing the thoughts of Kenny Sansom. There’s plenty more to enjoy and recall here. The painful struggle England faced to qualify and how the senior players talked Greenwood out of calling it a day in the summer of 1981; the defensive crisis England endured that continually left Greenwood without a settled back line ahead of the finals; the balls-up made during the World Cup draw in front of the watching millions around the world; the potential threat the Falklands War was posing to the side’s presence in the finals; Bryan Robson scoring after just 27 seconds against France; the dilemma Greenwood faced over selecting Ray Clemence or Peter Shilton until he eventually finally picked his number one; and the Admiral shirts England wore out in Spain, with the polyester design proving particularly uncomfortable in the win over France in the Bilbao heat. If you are of a certain age, it’s likely the England World Cup song This Time will be in your head as you read it all. Countless books have been written concerning the England’s team’s history, but very little has been devoted to the Greenwood era and the 1982 World Cup campaign. This book puts that right and gives long overdue attention to England’s return to international football’s biggest tournament after 12 years in the wilderness. We are sure ‘Reverend Ron’ would have given it his blessing. 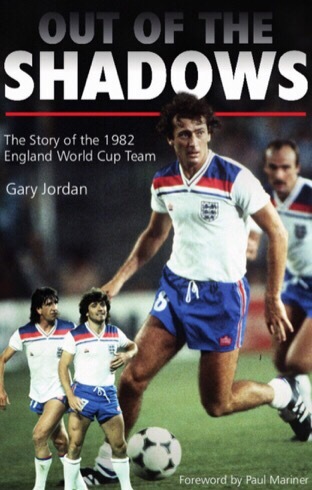 Out of the Shadows: The Story of the 1982 England World Cup Team is out now and is written by Gary Jordan and published by Pitch Publishing. It is available from sources including Amazon.